So you’ve spent hours browsing online for the best deals, and you’ve finally come across a bargain too good to be true – but just as you get to the checkout page and realise just how extortionate shipping fees are, you’ve given up on the whole buying process just as quickly as you’ve given up on your New Year’s resolution. But it seems that all is not lost, as there’s a special day in December that guarantees to make your delivery dreams come true: introducing Free Shipping Day, taking place on Monday 15th December. A concept developed by Luke and Maisie Knowles back in 2008, this event has now grown into a yearly tradition celebrated the world over – designed to offer free shipping as well as guaranteed delivery on online orders in the days leading up to Christmas. Its purpose? For this generous offer to extend the e-commerce period, thereby boosting sales during this festive season. While many businesses depend on their shipping costs as a way of boosting profits, there are several other organisations out there that are still doing well for themselves financially without the need to add on extra delivery costs. Earlier this year, a blog published by CPC Strategy noted that a staggering 73 per cent of online shoppers highlighted unconditional free shipping as “critical to a purchase” – with an overwhelming 93 per cent of online buyers encouraged to buy even more items if free shipping is included! So what are the benefits to providing free shipping? Merchants will instantly notice a boost to their online sales, which in turn, results in even more orders and profits – while customers tempted by this incentive could take advantage of the free shipping and request a bulk order. With regards to the long-term benefits, think of the loyal customers you will have amassed thanks to your generous free shipping – as not only will you have retained your existing customer base, but you’ll also have attracted the interest of many others. Additionally, you’ll be miles ahead of your rivals – with customers preferring your business over others. • Know your customers (their locations will greatly impact delivery costs). 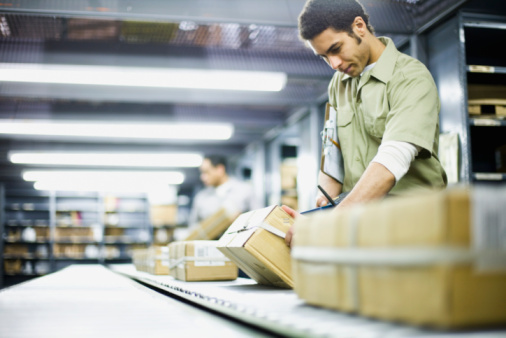 As a customer, do you feel that free shipping contributes to the make-or-break of completing a transaction? Maybe you’re a business considering making free shipping a feature within your operations, but not sure of the logistics? Voice your thoughts in the comments box below – or get in touch with our Customer Help Centre for more information today.